NEW YORK (AP) — When President Barack Obama's re-election campaign unveiled its new slogan, some conservative critics were quick to pounce. "Forward," they asserted, is a word long associated with Europe's radical left. Its choice reaffirmed their contention that Obama is, to some degree or other, a socialist — a claim that surfaced early in the 2008 campaign and has persisted ever since, fueling a lively industry of bumper stickers and books.. This is far from a new phenomenon — the use of "socialist" as a political epithet in the U.S. dates back to pre-Civil War days when abolitionist newspaper editor Horace Greeley was branded a socialist by some pro-slavery adversaries. 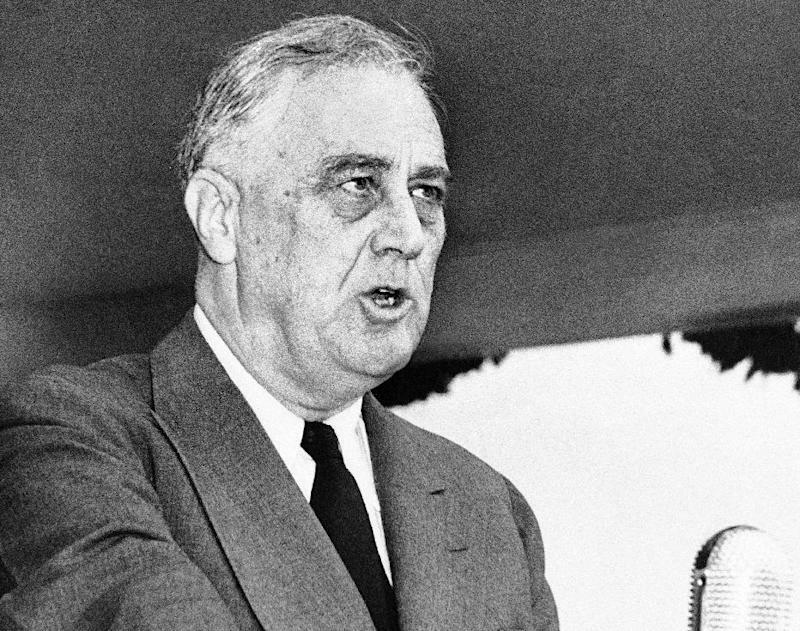 In the 20th century, many elements of Franklin Roosevelt's New Deal — including Social Security — were denounced as socialist. So was Medicare when it was created in the 1960s. But to many historians and political scientists — and to actual socialists as well — the persistent claim that Obama is a socialist lacks credence. He's widely seen as a pragmatist within the Democratic Party mainstream who's had ample success raising campaign funds from wealthy Wall Street capitalists. Even some of his strongest critics acknowledge that his administration hasn't sought one of the classic forms of socialism — government control of the nation's means of production. Terence Ball, a political scientist at Arizona State University, said "socialist' has gained currency as an anti-Obama slur because "the 'L' word (liberal) has lost it shock value." Full-fledged U.S. socialists are relatively scarce these days — three socialist-oriented presidential candidates received about 21,000 votes among them in 2008. And current socialist leaders don't share the right-wing view that Obama is a fellow traveler. One tidbit they might learn: The Pledge of Allegiance — the epitome of American patriotism — was written in 1892 by a socialist clergyman, Francis Bellamy. When the 2012 Republican presidential campaign was still competitive, three of the leading candidates — Rick Perry, Newt Gingrich and Michele Bachmann — depicted Obama as a socialist. Mitt Romney, the eventual winner, declined to go that far. "I don't use the word 'socialist,' or I haven't so far," Romney told CNN in an interview last year. "But I do agree that the president's approach is government-heavy, government-intensive, and it's not working." One of the few contemporary U.S. politicians to embrace the socialist label is Sen. Bernie Sanders of Vermont. He formally lists himself as an independent, but throughout his career — including stints as a mayor and House member — he's described himself as a democratic socialist. "Instinctively, the president is a collectivist," said Ken Blackwell, former Ohio secretary of state and now a conservative commentator. "My fundamental belief is that he wants to transform our market economy into a government-controlled economy — not far afield from European-style socialism." Steven Hayward, a resident scholar at the American Enterprise Institute and author of a two-volume biography of Ronald Reagan, said Obama is not a socialist under the strict definitions of that term — central economic planning and government control of production. "However, socialism has a secondary meaning that is harder to explain — government regulations, supervision of the private economy," Hayward said. "The problem now with Obama is, 'What does he really think?'"